This week is a quick review of a skin care brand that I have been trying out for the past 4 months. If you follow me on instagram or snapchat, you'll remember a few months ago my skin went hella crazy on me, breakouts and all sorts. Up to this day I still do not know what the reason was but all I remember was I was very unhappy with the state of my skin at that time. I decided to do abit of research on skin care products to try that could restore my skin back to its normal state. I came across La Roche Posey, a French skincare brand and after digging abit more, the reviews where overall amazing for oily, spot and blemish prone skin so I thought why not give this a try as it ticked all the boxes that perfectly describe my skin type. It claims that you can see "visible results from day 1 and significantly clearer looking skin at 4 weeks"
It is "specifically designed to help address oily, blemish-prone skin. Proven efficacy on the key signs of oily, blemish-prone skin, including; blemishes, clogged pores, excess sebum, uneven skin texture, red and brown marks." 1. Cleanse: Effaclar Purifying Gel Cleanser reduces excess sebum and leaves skin feeling clean and fresh. Work a small amount into a lather with water and massage onto skin using gentle circular movements - no need to scrub. Use morning and evening. Avoid eye area. Rinse thoroughly. 2. Tone: Effaclar Clarifying Toner helps to reduce the appearance of pores. Apply to a cotton pad and gently sweep over the entire face. Avoid eye area. Use morning and evening. No need to rinse. 3. Correct & Hydrate: Effaclar Duo+ Anti-blemish Cream is clinically proven to reduce the appearance of blemishes and unclog pores. It also helps to reduce the appearance of red and brown marks. Apply a thin layer of cream, morning and evening over your entire face before applying make up. Avoid eye contour area. So how did my skin like this product/s . Day one started well, i started off the 3 step routine in the evening starting with the cleanser which i was very impressed with. I had been wearing makeup throughout the day and the cleanser worked very well to wash off all the makeup i had on. I then used the clarifying toner and the duo anti blemish moisturiser l after air drying my face. I must admit , i did not quite like the moisturiser at first as it left my skin feeling very dry. After 3 days of using this kit morning and night, started having a terrible reaction to the duo cream (step 3) . I generally have sensitive skin, and this product claims to be suitable for people with even the most sensitive skin but i started feeling this burning sensation everytime i used it. This went on for a few more days so i decided to stop using it in the mornings and stick to evenings only. This made no difference whatsoever, if anything burning got worse, after the 8th day i decided to stop using the duo cream however continued with the other two products. Clearly my skin was probably too sensitive for the Duo+ Cream moisturiser so i would not recommend this product if you have very sensitive skin. 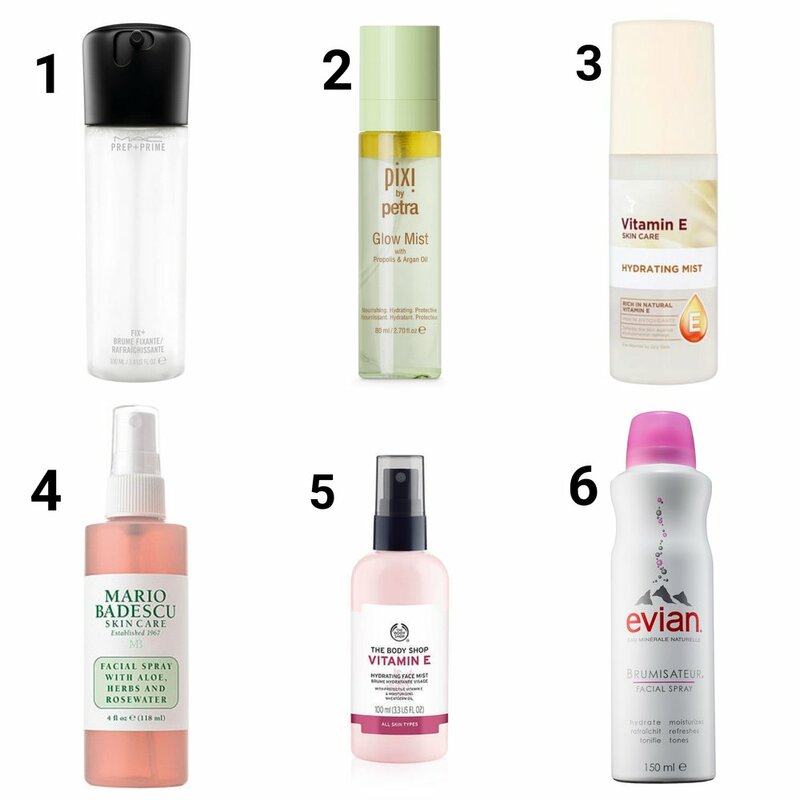 It has been 4 months now and iam still using the Cleanser and Toner, which i highly recommend. The kit says the products are up to 6weeks supply but you definitely get lot more that 6weeks . I have since bought another cleanser a month ago, but the original one from the kit lasted 2 1/2 months, which was much longer than the packaging says. I am also still using the toner even though it is almost finished but again it has lasted lot longer than expect. So it is a definite thumbs up from me. Overall my skin did improve significantly and i was very pleased with the results, its was or it us such a shame that the moisturising cream just did not work for me. 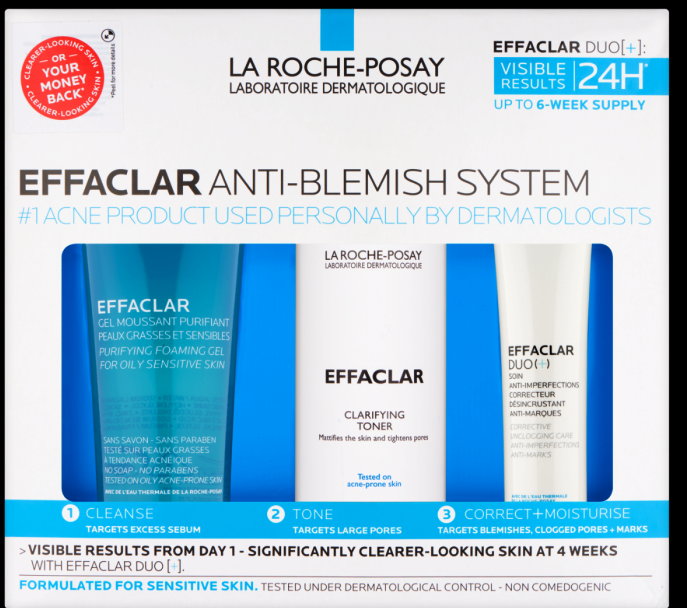 To purchase or read more about La Roche-Posay ,click here. One question is always get asked is '"what's your favourite setting powder and why should i set my makeup? Lets start with the later. Why should you set your makeup? Liquid and Cream foundation need to be 'set' in order to stay put and last longer. Think of setting powder like the top coat of your nails. You'ld never do your nails and not put a top coat right, same applies to makeup. Setting powder acts as your top coat for your foundation thus making it last longer as well as reduce shine. This is a staple in my kit. I love that i can use this on almost every client i have. I use this to set under eyes as well as the whole face. It leaves the skin feeling very smooth and doesn't look dusty cakey or dry. Apart from this it also does a very good job keeping the oil away, so those with oily skin definitely invest in this product. This powder is also great for flash photography as it does not give flash back (that nasty white cast you see mostly under eyes, forehead). Does not look cakey on skin. Yes it literally has 'no colour' . I cannot tell you how much i looove this product. It give a matte finish to the skin and works on all skin tones. The powder has no pigment which means it will not change or alter the colour of your foundation. So there you have it, my the two setting powders i currently use on all my clients. Thank you for reading. See you in the next post. When we got together to do this Candy inspired shoot, we never for a minute imaged that it would get as much attentions as it did . This has been my most reposted work to date. I have actually lost count of the number of pages that reposted these images and truely grateful for the love and support we received. On the lips, i first of all applied a pink liquid lipsick with a lipgloss on top (the lipgloss was applied liberally as well) . I then sprinkled some sweets onto a tissue paper and asked the model to dip her lips in the sprinkles. We did this twice as there were still some gaps in between. Any strey sprinkles where simply dusted off with a brush. I also dubbed a little vaseline around hairline and placed more sprinkes. This was my 2nd favourite look from this shoot. To make the necklaces, i used Garden Wire and Liquorice sweets. I simply fed the sweets through the garden wire until i had a good size to go around the neck. I then tied it to the size this partcular model while we where on set. I bought these sunglasses in a charity shop for 20p each, YES 20p EACH :-) then took out the actual lenses of as we did not need them . I then applied super glue on the frames of the glasses where i wanted to cover with sprinkles. After doing this i then dipped the frames in the spinkles and left them to dry over night. So this is how i achieved these looks guys.. Thank you for reading. So many women (and men) find it difficult to find the right foundation for the their skin tone. So before we get into how to get it right with you foundation, the first step is to know the type of skin you have? That is dry, oily,combination or normal skin. Oily Skin – For this type of skin use foundation that is oil-free which controls oil and shine. Foundations with a matte or powder finish are usually the best. Dry Skin – If you have dry skin, you need a foundation that has moisturizers in it. Dry skinned people have better results with a creamy foundation rather than a matte or powder finish makeup. Combination Skin – If you have combination skin (this is dry skin but oily T-zone) then you need makeup that has moisturisers , but is also oil-free and controls shine in your oily spots. Sensitive Skin – If you have sensitive skin you need to select a makeup especially for sensitive skin. Probably something that is oil-free, fragrance-free and allergy tested for skin irritancy. It is best to check makeup labels to be sure about these things before you purchase a foundation.